Real Estate Appraisal Fees for Citrus County Appraisals, Marion County Appraisals, Levy County Appraisals, Hernando County Appraisals, Sumter County Appraisals, and Pasco County Appraisals. Covers Citrus, Levy, Hernando, Sumter, Pasco and Marion counties on a daily basis (all Northwest Central Florida). Staff is comprised of four full-time appraisers with over 65 years of combined real estate appraisal experience. Includes a support staff dedicated to serving your every need. Turnaround time between two to three business days from inspection date. 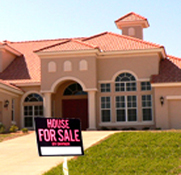 Can complete residential and commercial appraisals. Has two appraisers who are FHA/HUD approved, and one appraiser VA approved. Appraises for most area financial institutions/mortgage companies (USPAP). Member of Citrus County Chamber of Commerce. Acreage, large golf course, and/or waterfront exposure will vary in fee, based on time and difficulty of assignment, ranging from $400 to $600 for a FNMA Standard Report, $400 to $500 for a Drive-By Appraisal Report. A discount will be given on Standard FNMA Report upgrade when we have done prior Drive-By Report on same property within previous six months. For an average home, appraisal fees would be $400 for a Drive-By Appraisal and an additional $175 for an upgrade to Standard FNMA Report (Form 1004). The staff at Tolle Appraisal Service, Inc. prides itself on quality, accuracy and outstanding service! If you have any questions, call us direct 352-563-0222.